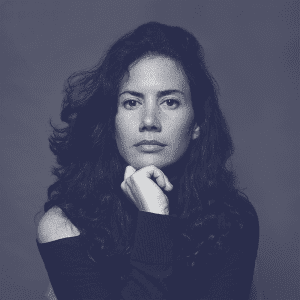 Olivia Ramos has a big vision for her property tech startup, Deepblocks: To revolutionize real estate development by helping to drive down costs of construction and enable better cities of the future. To ultimately do that, Deepblocks’ AI needs to get smarter and smarter, as the startup scales its software solution around the country, and eventually the world. 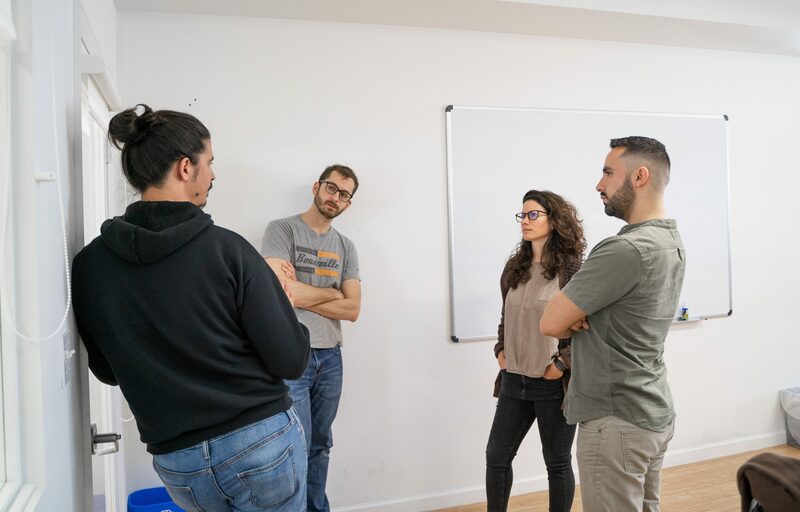 That plan is underway, as Deepblocks solution will be available in 1,000 U.S. cities in an open beta at the end of the month, said Ramos, founder and CEO of the Miami-based startup. And this week, the team is launching an app, providing the real estate community with a free and easy way to access zoning information. Deepblocks’ core software-as-a-service solution has been in alpha since late last year, and is being used by 460 users. What it does is enable real estate developers and others in the industry to model and evaluate potential projects in minutes, rather than days or weeks waiting for multiple offices to weigh in. With the help of artificial intelligence, it performs a real-time analysis of financial and market data along with local building regulations. Incorporating learnings from the alpha, the beta version will have more robust logic, a new dashboard with more site analysis tools and abilities to model and manage multiple projects, Ramos said. Priced at $18 a month for unlimited use, it will been priced to scale and Ramos is hoping for several hundred thousand users around the country for the beta. “The core product will be rolled out in 1,000 cities in the U.S. We are training the software to get smarter all the time. It will learn general patterns in different cities. The idea is to be able to connect one city to another, especially for example, sister cities that are all concerned with sea level rise – all of these cities could have strategies that when combined perhaps have a really good solution,” Ramos said in an interview last week. And that’s not all. 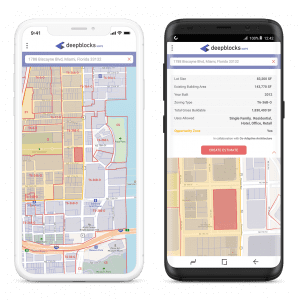 Deepblocks is launching a free app today, Deepblock Maps, that will initially be available in Miami and will allow anyone to see, parcel by parcel, what can be built on the land and for what use. The information is all publicly available but not easy to access – until now. The Deepblocks team will be adding a new city to it every week. “We synthesized it to a very simple what you can build and what kind of uses you can build and what’s the total buildable square footage, which helps in understanding the potential of a piece of land,” Ramos said. In addition to what you can build, the app will provide the size of the lot and what’s on it – the size and age of existing buildings – or if it is vacant, and if the property is in an opportunity zone or not, Ramos said. Deepblocks’ backstory is very Miami. Ramos is a Cuban-American who attended Design and Architecture Senior High in Miami-Dade, earned a bachelor’s degree in architecture from the University of Florida, a master’s in architecture from Columbia University and a master’s in real estate development from the University of Miami. With interests in architecture, real estate development, urbanism, sustainability, big data and artificial intelligence, she participated in a DARPA program where she designed software for big data navigation based on architectural principals. Yet it wasn’t until she participated in Silicon Valley’s prestigious Singularity University for 10 months in 2016-2017 (she participated in the Global Solutions Program, the incubator and the accelerator) that the pieces came together and her startup, Deepblocks, took root. Singularity is also an investor. Ramos returned to Miami in 2017 to build the company. Deepblocks is currently a team of 10 engineers, data scientists and market experts. Deepblocks has raised just over $2 million in two seed rounds, and plans to raise a bridge round after the solution is launched. Deepblocks’ backers include Miami investors such as Krillion Ventures and real estate developers Avra Jain and Michael Simkin. “We are all big supporters and believers in the progress of Miami as a city and we hope our software can be of service in the way the city will need to develop to tackle things like sea level rise and the wave of hurricanes we might be getting. Hopefully our software will help create the next wave of optimal buildings,” Ramos said in an earlier interview. As part of that journey, the challenge is focus, Ramos said Friday. “We want to build so many things, we want to have more robust 3D models where you can design the buildings, we want to have more robust financial projections and we are bringing that on board. We want to go global, to have it available in every single market in the world.